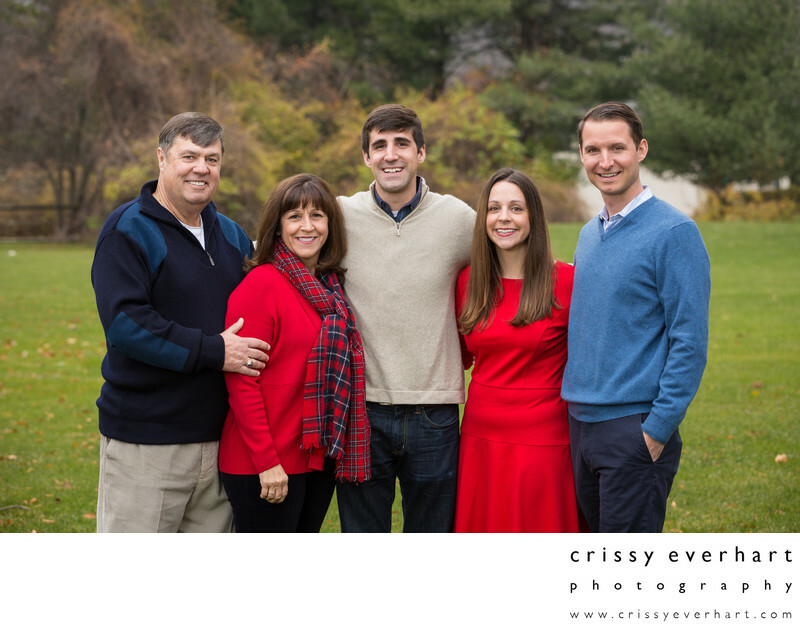 Families with adult children also need family portraits! This mom and dad got some photos of their son, daughter, and son-in-law when everyone was home for the holidays. They were taken outside at my studio at Historic Sugartown, where there are acres of historic land and beautiful backgrounds.